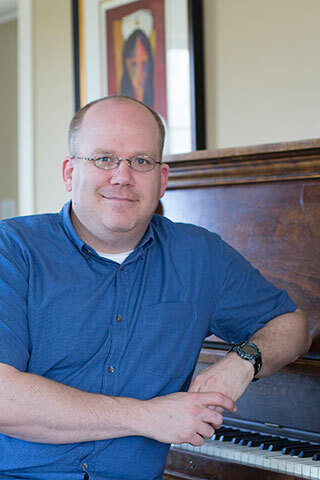 We Can(ada) Read: Guest Post from Wade Albert White! I write both fantasy and science fiction, so it probably comes as no surprise I spent a lot of my youth thinking either about strange other worlds or about strange things happening to this one: aliens landing, natural disasters of epic proportions striking without warning, super-intelligent yappy poodles taking over the planet. Normal things like that. I mean, I don’t know if anyone has noticed lately, but Canada is big. Like, really big. So it’s not like we’re easy to miss. A trip from my hometown of Yarmouth, Nova Scotia, to Toronto, Ontario, alone is equal to driving halfway across Europe. Surely an alien ship would have to land in our capital city of Ottawa every once in a while, if only to ask for directions. And why couldn’t a gigantic volcano rise out of the center of Prince Edward Island, and then Anne of Green Gables could travel forward to the present using a time machine secretly built by the Fathers of Confederation and join forces with Céline Dion and the kids from Degrassi to stop the disaster? Since none of this seemed to be happening (much to my disappointment, I should add), I had to make up my own weird stories. Fortunately for me, mainland Nova Scotia is a peninsula, so one of my favorite scenarios was to imagine that it simply snapped off from the rest of the country and floated away. We would hoist massive sails and head off into the Atlantic Ocean as pirates in search for treasure (and of course Cape Breton was always detachable in an emergency, not unlike the saucer section of the Enterprise on Star Trek). Such tales were obviously dreamed up at the stage where my basic knowledge of geography outstripped my understanding of how tectonic plates actually work. 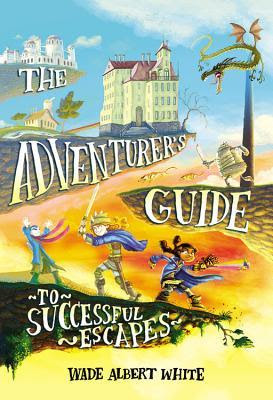 Curiously, however, the world of The Adventurer’s Guide to Successful Escapes is made up of millions of islands (called “tiers”) that magickally float through the air and orbit a big glowing ball of energy. The inhabitants travel from tier to tier via airships and other means, and there are tiers of every type imaginable: deserts, mountains, oceans, and more. How such a world came into existence gets explored in the story as the characters try to complete their quest. I can’t claim my strange musings about a pirate Nova Scotia all those years ago were the sole inspiration for this setting, but they were definitely in the mix, and I’m only too happy to add my story to that growing list of fabulous books written by other Canadian science fiction and fantasy authors which I’ve encountered throughout the intervening years. Also, if you’ve ever thought of visiting Nova Scotia, I recommend going sooner rather than later, because you never know, one of these days we might yet hoist our sails. Love this! Though New Brunswick will miss you when you, Wade! Love this book so much! Super happy to see this post! I read Wade Albert White's book a few weeks ago and loved it! I enjoyed reading this guest so much, and I am even more interesting in the lovely Nova Scotia. I have been planning a trip to Canada for years, and I hope one day I can finally make it happen. :) Great post! I'm from the US so yes, I find many books set in the US. I love when I find ones set in my home state. I've been following Wade's progress since we were in a writing contest together. Couldn't be happier or more excited to read this book!! I am really looking forward to reading this book and using it in my library and/or classroom library.